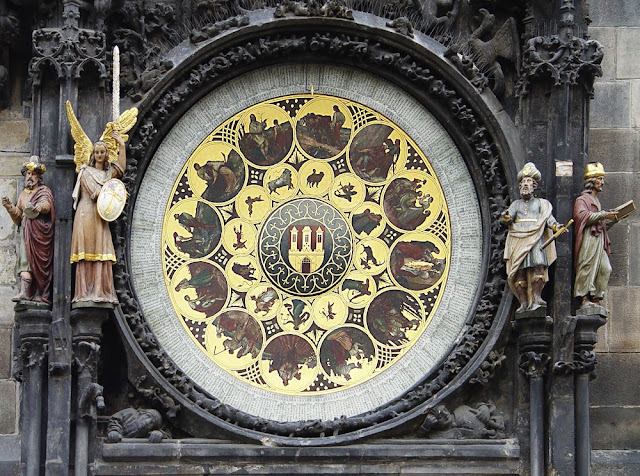 The astronomical clock in Prague has kept time for over six centuries and continues to keep accurate time to the present day. It draws many tourists to the city and is a lasting tribute to the craftsmen of the day. 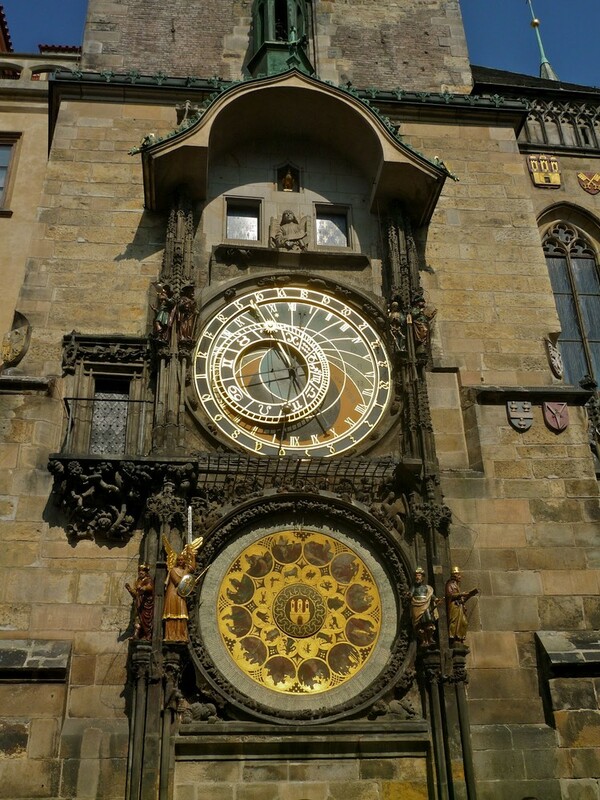 It is amazing how a timepiece as complex as the astronomical clock is could be built in a time of relatively low technology. The clock shows three individual sets of data. It shows the revolutions of the Sun, the revolutions of the moon, and the revolutions of the stars. The clock is divided into red and blue halves representing day and night. The movements of the clock are provided by large wheels mounted on the same axle. The first gear contains three hundred and sixty-five teeth and drives the zodiac. The second gear contains three hundred and sixty-six teeth and rotates the sun indicator. The third gear drives the moon pointer and contains three hundred and seventy-nine teeth. The clock also contains a half silvered and half black ball that rotates and displays the phase of the moon. Thousands of tourists and visitors crowd into the Old Town Square in Prague to watch the Astronomical Clock strike the hour. 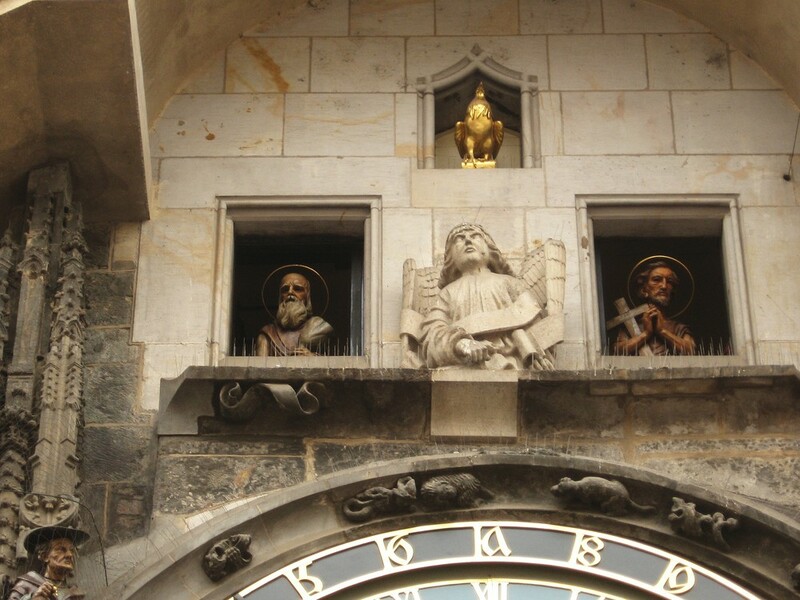 The Procession of Apostles delights the crowd as they one by one at small doors at the top of the wonderful clock. Two images stand on each side of the clock faces. These images are allegorical and represent vanity, greed, death, and lust. Greed and death are pictured here. The bones of the skeleton rattle as the clock strikes the hour. Original construction of the clock occurred in 1410; however, only recent advances in technology have enabled historians to conclude this. For many decades it was believed that the clock was constructed in 1490 by Hanus and his assistant Jakub Eech rather than by Mikulas of Kadao in a partnership with Jan Ondoejuv. 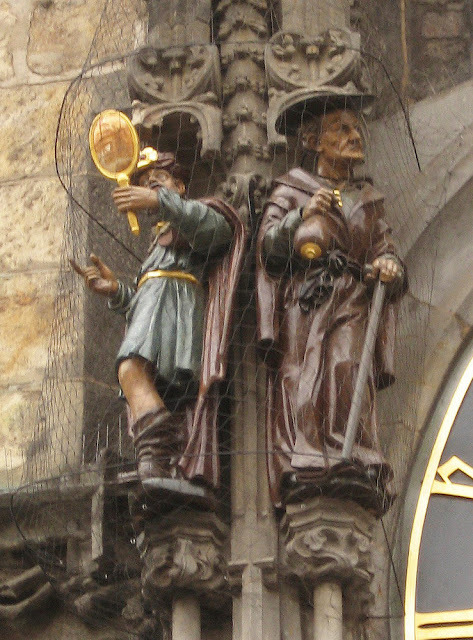 Mikulas was the clockmaster and Jan Ondoejuv, also know as Sindel, was a professor of mathematics and astronomy at Prague Charles University. Through its life the clock has undergone several renovations and repairs. In 1490, a calendar dial was added to the clock under the astrolabe on the clock face. 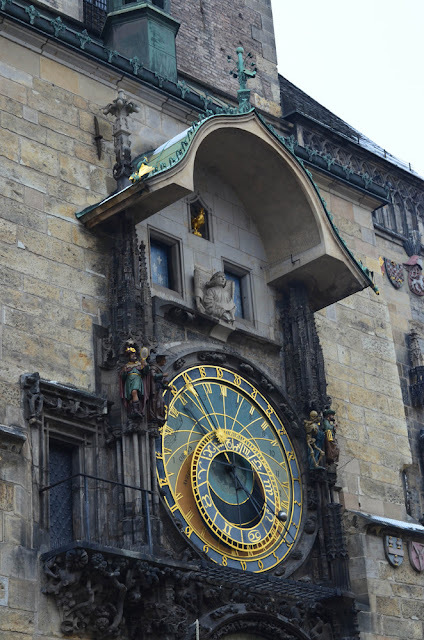 During this renovation the entire clock was ornamented with Vladislav Gothic sculptures made of stone. 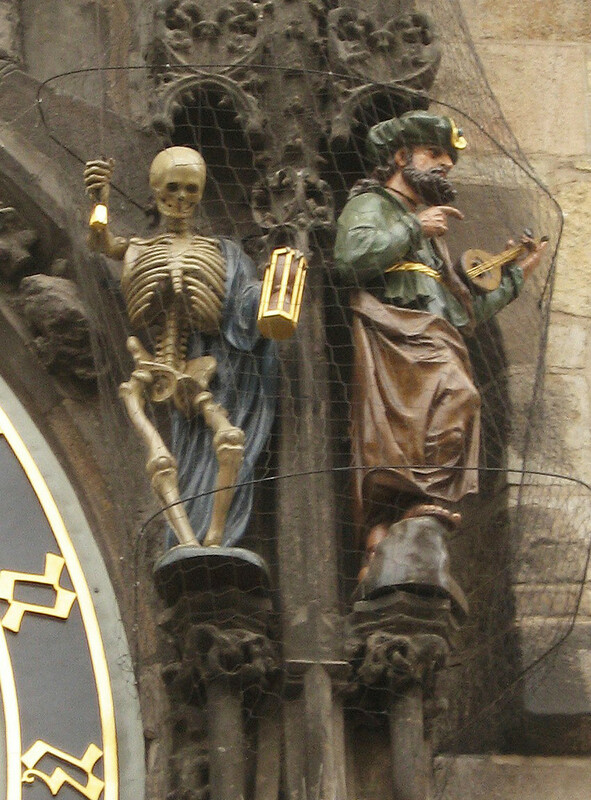 In the fifteenth century a sculpture beside the clock and a mask and figures were added by sculptor Peter Parler and stonemasons from the Masonic lodge. Again in the seventeenth century more new statues were added. Moving statues were added on the side of the dial and nonmoving statues were placed beside the calendar dial. From 1865-1866, the clock under went even more repairs. 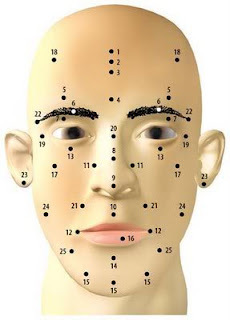 During this repair figures of the twelve apostles were added and a new calendar disc installation occurred. The Czech painter, Josef Manes, made the new disc. The disc consisted of twelve medallions for the months and the corresponding zodiac signs. 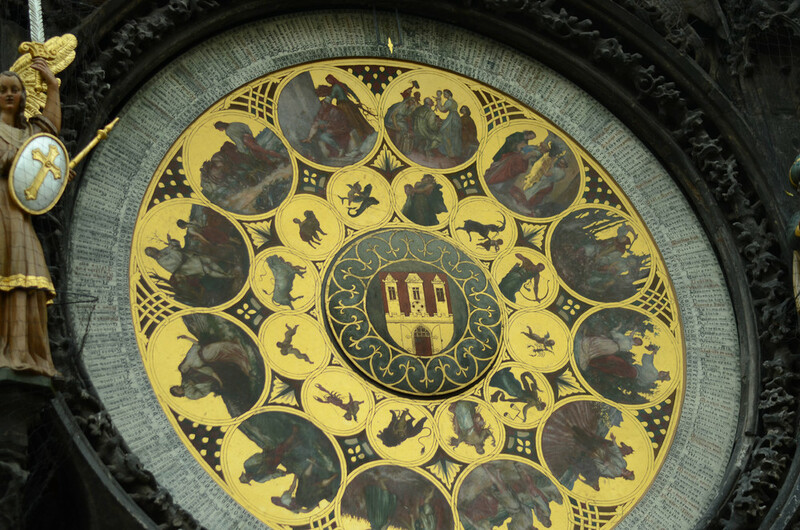 The clock was severely damaged by Nazi fire during World War II. The Nazis completely burned the Town Hall and nearly totally destroyed the clock. Many people sacrificed their time and gave their handy-work to repair the clock to like-new condition. Also, sometime during a renovation, the clock was configured to show three time zones: Central European Time, Old Czech Time, and Babylonian time. Although every repair to the clock has added new statues of artistic design the clock was not originally designed like that. Originally the clock had no moving statues or figurines to amuse people. 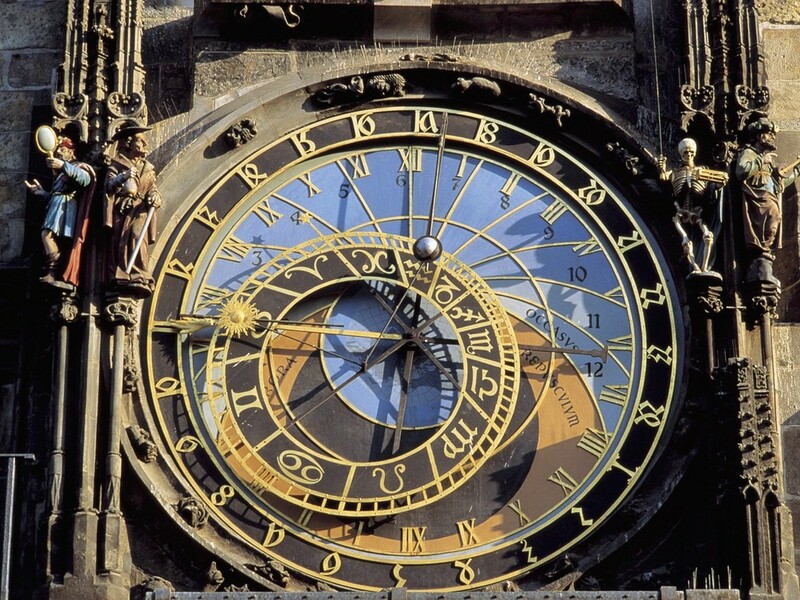 It only had relevant astronomical data.The years between the fourteenth and sixteenth centuries proved to be an exceptional time for artists and clock makers in Europe and Asia. In 1344, the first astronomical clock was built in Padua and a second clock was built in 1354, in Strassburg. The third to be built was the clock in Prague. 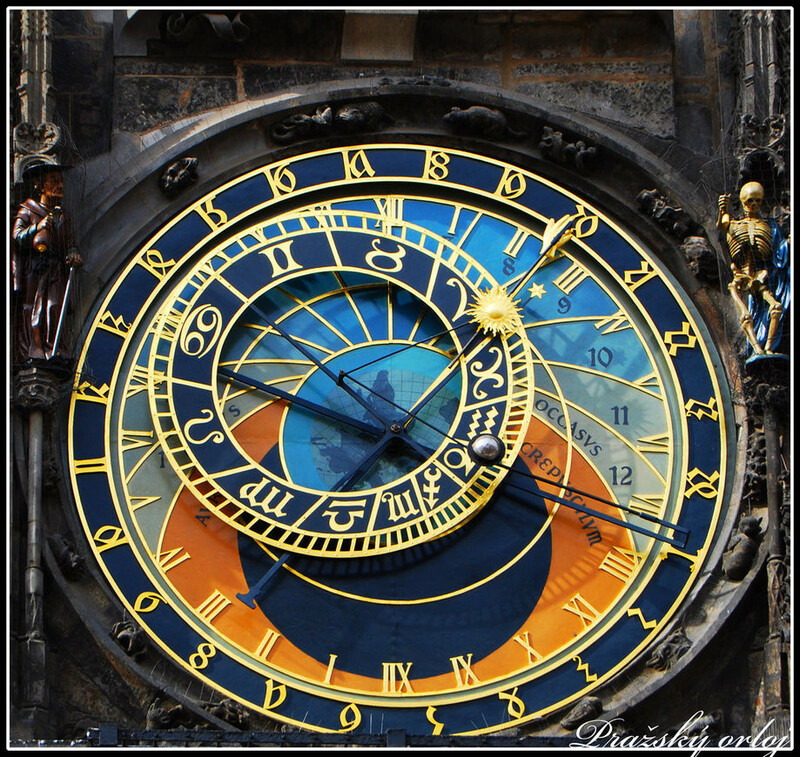 It is the clock in Prague which draws tourists by the thousands to see the clock in action.